Though the Washington Capitals hadn’t played since Tuesday, they came out strong in the first period of Sunday’s game against the St. Louis Blues, putting on a lot of offensive pressure and taking a 1-0 lead into the second off a power-play goal from Brett Connolly. While Washington did start off strong, they lost their footing and struggled greatly in the second. The Blues outshot them 17-6, and heading into the third, the Capitals were trailing 2-1. However, thanks to a standout performance from the Capitals power play and third line, as well as goals from Alex Ovechkin and Lars Eller and 31 saves from Braden Holtby, the Capitals eventually headed to overtime, where they won 4-3 on a goal by Nicklas Backstrom. 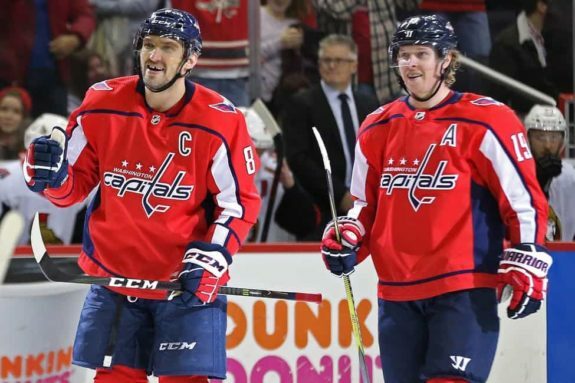 While Washington got even-strength tallies from Eller and Backstrom, the power play came up huge in the Capitals’ victory. Toward the end of 2017, the Capitals weren’t seeing much momentum on the power play, and halfway through this season, their percentage of just 19.2 success ranks 16th. While the power play has shown signs of life of late, Sunday’s game marked a turning point, as Washington went 0-for-4 and had two power-play goals from Connolly and Ovechkin, who is riding a four-game point streak. Ovechkin has by far been one of the biggest factors. His signature shot from the left circle not only leads to a lot of one-time tallies but also generates a lot of scoring chances and can also lead to deflections in front, as seen with Connolly’s goal. In addition, John Carlson has played a significant role on special teams as well. He is second in league scoring among defensemen with four goals and 33 points this season, and not only is he able to play big minutes and move the puck effectively, he also boasts an underrated shot on the man advantage. Not only did special teams come up huge for Washington, but Washington got a lot from their third line. Devante Smith-Pelly started on the third line alongside Eller and Connolly, but after the Capitals saw a lack of scoring chances and offense in the second, head coach Barry Trotz shuffled the lines, moving a struggling T.J. Oshie to the third line and putting Smith-Pelly back up with Backstrom and Ovechkin. After being put on the third line, Oshie, who came into Sunday’s game with two points in his last 10 games, showed a lot more energy and speed and appeared to have more momentum and chemistry with that unit. Following the switch, the 31-year-old picked up two assists. 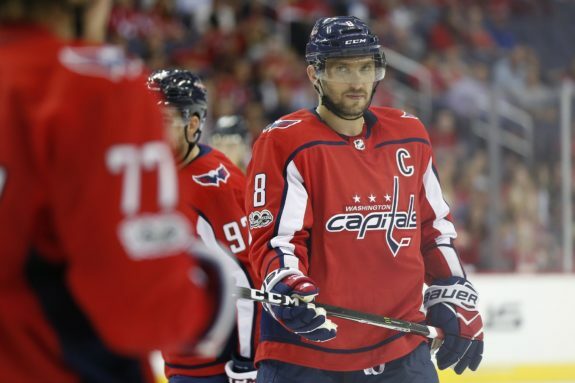 Overall, the third line had a number of grade-A scoring chances and proved to be one of the Capitals best lines. According to Eller, the addition of Oshie not only brought forth a lot of scoring and chemistry but also showcased the versatility that unit has.